With the Big Day behind you, soak up alllll of that wedded bliss at these luxury honeymoon hotels in Bali - special lovers’ benefits included! Hip hip hooray! You survived the wedding planning, you said your “I dos” and your Big Day was a Champagne-popping success! But now that the confetti has settled, it’s time to pack up your suitcase and take off to an oh-so swoon-worthy honeymoon in Bali as newlyweds. Just like planning the Big Day, organising a honeymoon ain’t easy. You’ll need a stunning honeymoon hotel, you’ll want endless romantic things to do on your itinerary, and let’s not forget the fancy restaurants for some candlelit fine dining. So to help you on your romantic escape, here’s our guide on where to stay with bae on your Bali honeymoon – our favourite, hopelessly romantic hotels with all the couples experiences and newlywed benefits you could ever wish for. Honeymoon here because… Six Senses Uluwatu is the epitome of luxury, perched 74 meters high above sea level on the rugged cliff’s edge, with panoramic views of the Indian Ocean from all around. Five-star dining, award-winning spa experiences, daily yoga and dreamy suites and villas are all part of the Six Senses experience. Romantic things to do: Make a date at the resort’s exquisite “Sky Dining” experience at Rocka Restaurant (available for one couple only each evening) which teeters on the edge of the cliff with a gorgeous sunset as a backdrop. Or, head to the spa for a multi-hour Balinese healing treatment and integrated wellness programs for two. 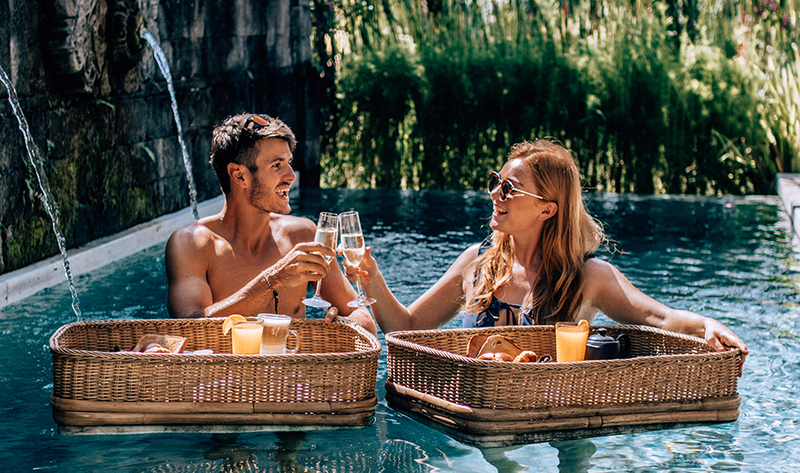 The honeymoon package: Six Sense’s Bali Romance package gifts loved-up couples with a dinner beneath the stars, a couples spa massage, daily breakfasts, a photography session, a special Honeymoon setup in the rooms and even complimentary ice cream throughout your stay! Six Senses Bali, Jl Goa Lempeh, Uluwatu, p. +62 361 2090300, e. reservations-uluwatu@sixsenses.com. Honeymoon here because… The Ungasan Clifftop Resort is an iconic Bali destination that’s best known for its dramatic clifftop perch, sublime butler services, the in-house and ever-famous Sundays Beach Club, and of course, its six-star collection of private abodes with their very own infinity pools on the cliff’s edge. It’s an exclusive and luxury escape par excellence, with beach and ocean views aplenty. Romantic things to do: Book in for a couples massage on the beach, splish and splash with water sports at Sundays Beach Club, stick around for a bonfire on the beach by dusk, and tuck in to a gourmet dinner in the exclusive Spa Bale, or in your private villa. The honeymoon package: The Honeymoon Couples package at The Ungasan Clifftop Resort treats lovebirds to 3 nights in a one-bedroom plunge pool villa, complete with a rose petal bath, canapés & a bottle of Chandon on arrival, as well as VIP access to Sundays Beach Club, a romantic dinner for two at the exclusive Sundays Beach Club Spa Bale, private butler services, a 5-course set dinner by Australian chef Josh Tyler, and a two-hour couples retreat treatment. 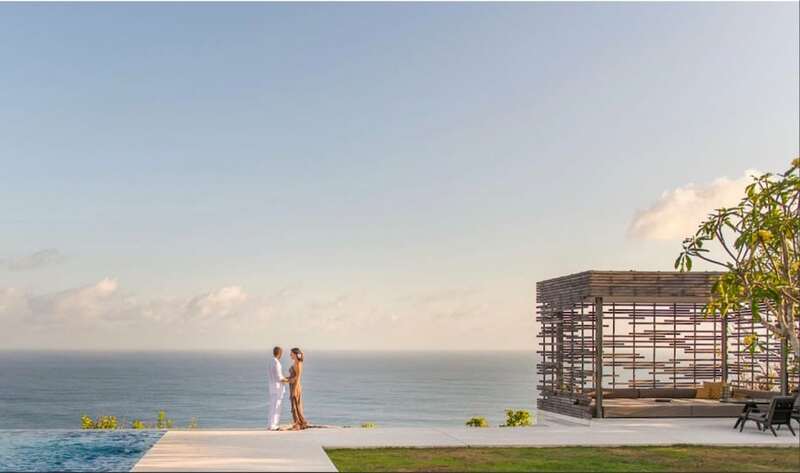 Honeymoon here because… Alila Villas Uluwatu elevates romance to another level – literally. For starters, this six-star sanctuary sits 100 metres above the Indian Ocean, with intimate and romantic settings at every turn. Add to that the show-stopping architecture, the impeccable butler services, the tailor-made unique wellness programmes and celeb-style accommodation, and this is one honeymoon destination you’ll struggle to forget. Romantic things to do: Try the two-hour “Blissful Spa Indulgence’ with its series of deeply relaxing and ancient Ayurvedic treatments; dine at the award-winning restaurants (Quila is our fave! ); or simply soak up the extravagance from your private villa, with the help of your very own butler. The honeymoon package: The ‘Seduce Your Senses’ package gifts couples with daily a la carte breakfasts, a tailor-made dinner and 90-minute spa treatment for two, as well as return airport transfers. Alila Villas Uluwatu, Jl Belimbing Sari, Banjar Tambiyak, Desa Pecatu, Uluwatu, Pecatu, +62 361 848 2166 e. uluwatu@alilahotels.com. 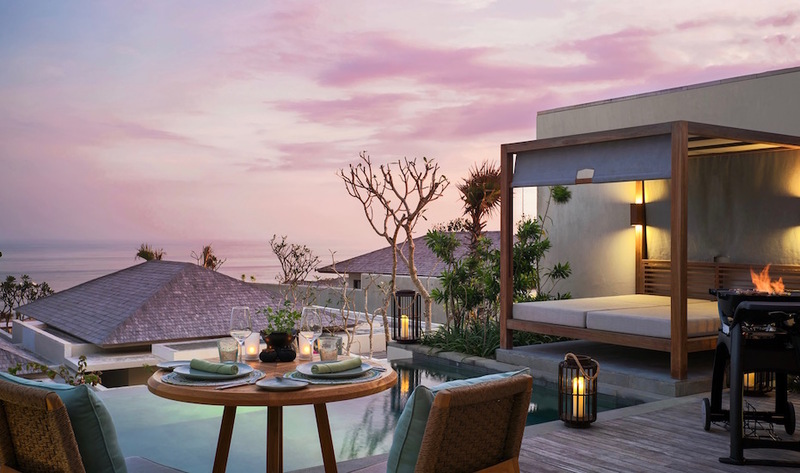 Honeymoon here because… Radisson Blu Bali Uluwatu is all about ocean views on the clifftops of Uluwatu, with cosy poolside cabanas and romantic dinner setups for two. Whether you want to soak up that “Just Married” bliss in the sunshine, or treat the two of you to a half day spa journey (every day!) there’s plenty of different ways to mark your first moments of married life. For an ultra-luxurious stay, go for the stylish Ocean View Suites with their high-tech amenities and 400 thread-count linens. Romantic things to do: Enjoy a hot date beneath the stars at one of six decorated outdoor venues, complete with six delicious courses and a bottle of bubbles. Or bliss out with bae at the stunning Spa ESC. The honeymoon package: The Romance Package at Radisson Blu Bali Uluwatu treats you to a romantic dinner, afternoon tea for two, a couple’s massage, a room upgrade and more! Radisson Blu Bali Uluwatu, Jl Pemutih Uluwatu, Pecatu, p. +62 361 3008888, e. reservation_rdbu@radisson.com. Honeymoon here because… Viceroy Bali is a sublime lovers’ retreat wrapped in tranquility and Ubud’s natural beauty. Luxurious Balinese details, stunning jungle vistas and all the time in the world to relax in your own private villa, dip in your own infinity pool, cosy up in the outdoor cabanas or dine at Aperitif or Cascades – the resort’s very own fine dining restaurants. 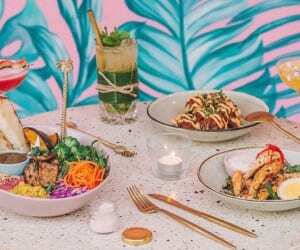 Romantic things to do: Indulge in some rejuvenating spa treatments, ride bikes around the rice fields, try a cooking class, or dine at the fabulous restaurants – our fave foodie experience here is the Royal Balinese Rijsttafel multi-course dinner. The honeymoon package: Viceroy Bali’s Romance Package includes a couples’ candlelit dinner, spa treatments, a flower petal bath and daily cocktails at Cascades – not to mention a bottle of bubbles waiting for you in your luxury pool villa. Viceroy Bali, Lanyahan, Banjar Nagi, Ubud, Kec. Gianyar, p. +62 361 971 777, e. res@viceroybali.com. Honeymoon here because… Four Seasons Sayan was awarded as the No.1 Hotel in the World in 2018 by Travel + Leisure, so you’re guaranteed a wow-worthy stay here. This island icon is an intimate hideaway nestled between two rivers in the central highlands of Ubud, submerged in jungle greenery to embrace the valley’s healing energy. The private pool villas here are particularly special, with outdoor lounging areas (read: snuggle spots), uninterrupted jungle views and private-sanctuary vibes. 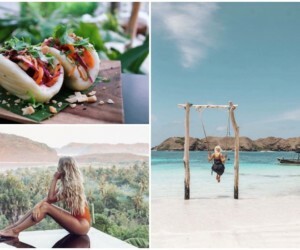 Romantic things to do: Try the Balinese and plant-based cooking classes; the private guided tours to secret temples; the gourmet dining at Ayung Terrace; and the chakra-balancing Tantric Bliss couple’s treatment at the Sacred River Spa. The honeymoon package: Designed for loved-up couples, the Bali Romance package treats you to spa treatments, a romantic dinner and discounted stay rates. Four Seasons Resort Bali at Sayan, Jl Raya Sayan, Sayan, Ubud, p. +62 361 977577. 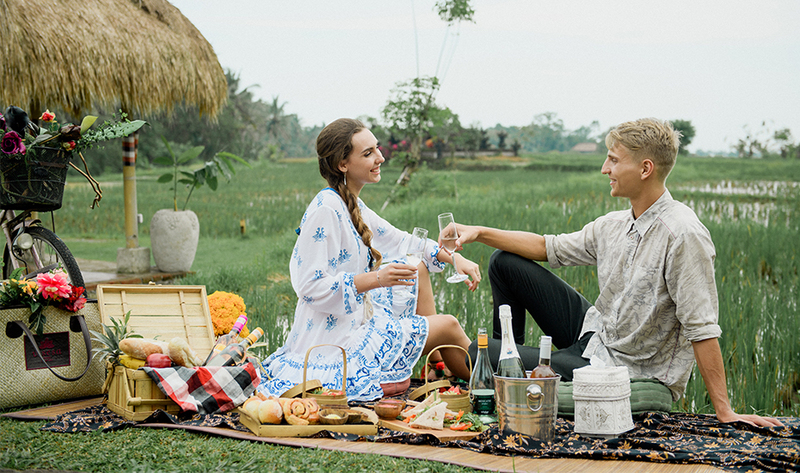 Honeymoon here because… Desa Visesa is owned by Ubud’s royal family, so you know you’ll be treated like a King and Queen here. The resort sits on 6.5 hectares of greenery, with a rice field on the villa’s doorstep and a jungle infinity pool. Honeymooners are also treated to floating breakfasts, romantic picnics and an in-villa starlit dinner. Romantic things to do: Set a date for a romantic dinner under the stars at Desa Visesa’s Padi Fine Dining restaurant, or sign up to one of the many cultural experience tours or couples activities. Want to bliss out? Try the 90-minute ‘Pamper In Wine’ couples treatment – it comes with an infused wine bath! The honeymoon package: The Kiss Me At Night Honeymoon Getaway includes daily breakfasts, a starlit in-villa dinner with wine, daily activities and spa’s special Love Senses Ritual for two. 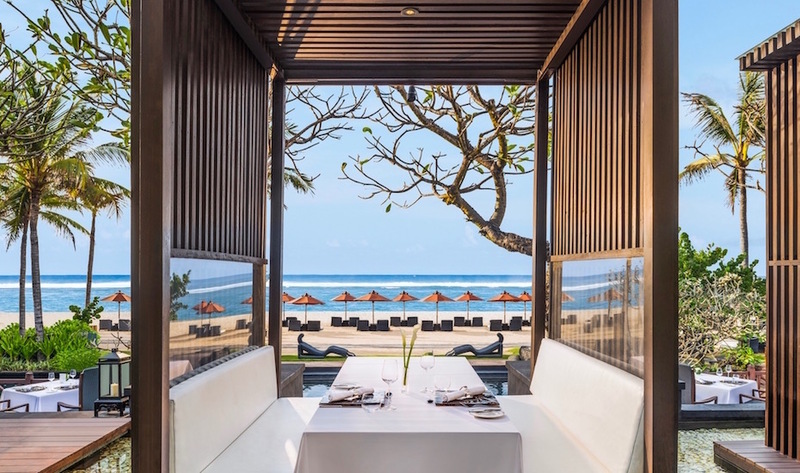 Honeymoon here because… Mulia Bali is an award-winning beachfront luxury resort in Nusa Dua, with three distinctive stay experiences. For honeymooners, try the uber-private Mulia Villas, with butler services, hydrotherapy swimming pools and a large Jacuzzi. As for the resort itself, this palace-like destination is chock full of world-class facilities, including countless gourmet restaurants, the award-winning Mulia Spa and a long white sandy beach – perfect for a romantic stroll. 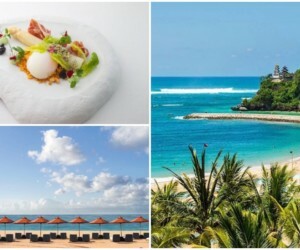 Romantic things to do: For honeymooning foodies, Mulia Bali offers two unique dining experiences, including a full moon six-course romantic dinner by the resort’s beachfront pier. 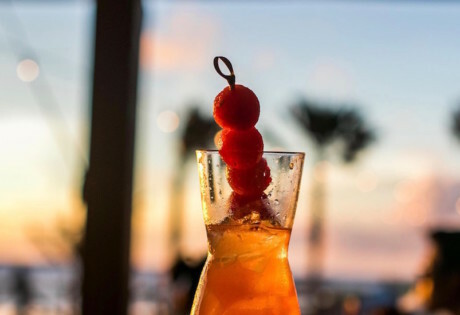 There’s also wining and dining destinations for every whim and desire at the many dining venues, including one of our fave Sunday brunches on the island. 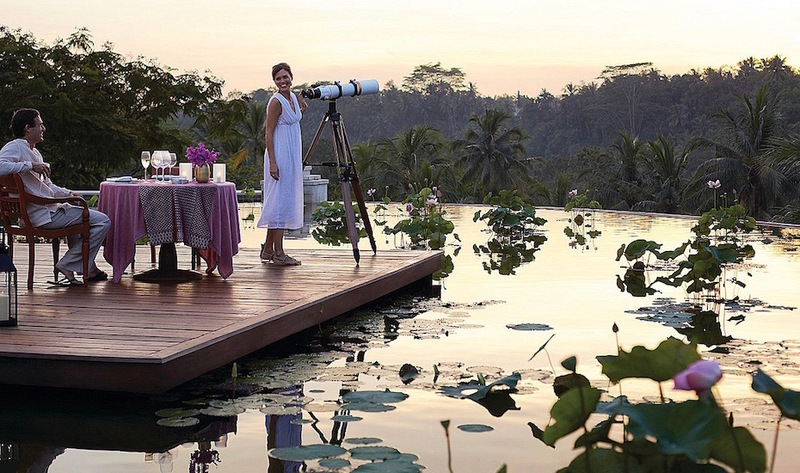 The honeymoon package: The special Mulia Indulgence package offers gourmet perks aplenty, like daily breakfasts, afternoon tea and cocktails, a Sunday Brunch at Soleil, two dinners at The Cafe plus a pampering spa treatment for two at Mulia Spa. The Mulia, Mulia Resort & Villas, Jl Raya Nusa Dua Selatan, Kawasan Sawangan, Nusa Dua, p. +62 361 301 7777, e. reservation@themulia.com. Honeymoon here because… The St. Regis Resort is arguably Bali’s finest destination, home to grand and exquisite living, intricate Balinese craftsmanship, the delightful scent of fresh flowers at every turn, and the soothing ocean breeze as company. 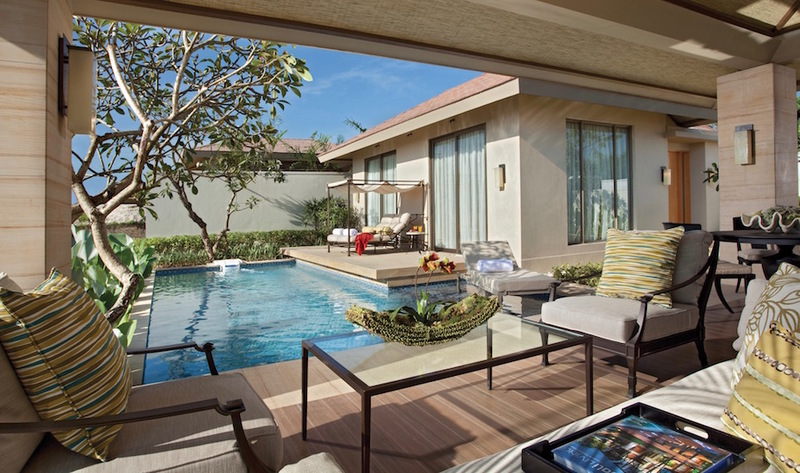 The suites and villas here are truly sublime, with refined and bespoke elements alongside state-of-the-art technology. This spectacular residence also features an enormous saltwater lagoon and a prime beachfront address on Nusa Dua’s white sands. Romantic things to do: Make a date at the Swarovski-adorned Cloud Nine Crystal Chapel, where a Romantic Dinner takes you on romantic moonlit walk along the pristine white sand beach before being greeted by a butler who’ll present you with a bouquet of flowers, canapés, a Cosmopolitan Cocktail, and a seven-course dinner to the sound of your very own pianist. The honeymoon package: For loved up Honeys, the Luxury Romance package offers an elegant and bespoke experience especially for two. Enjoy daily breakfasts at Boneka, a bottle of Champagne on arrival, luxury round trip airport transfers, the signature St. Regis Butler Service and daily wellness offerings. Honeymoon here because… Alila Seminyak is a five-star sanctuary of all things fabulous. Like a lavish secret garden, the manicured resort sits on the Seminyak beachfront, just a few footsteps from the boutiques, bars, spas and world-class restaurants. The swoon-worthy accommodation options here are endless too, from sea-view suites to breathtaking Penthouses. Romantic things to do: Just like its neighbourhood, Alila Seminyak is buzzing with beachfront activities. 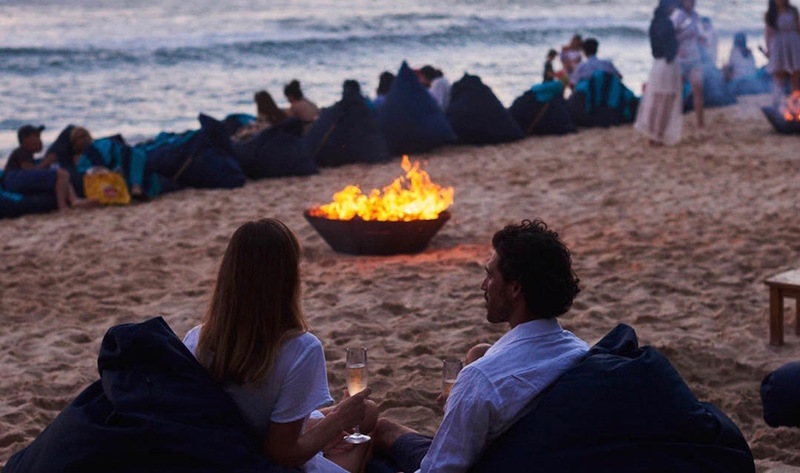 Try a twilight romantic dinner for two at Seasalt, a vintage ride in a VW Kombi along Bali’s glamorous Southwest coast, watch a magnificent sunset at the Beach Bar, or pamper your senses into submission with a half-day spa experience for two. The honeymoon package: To up the honeymoon ante, Alila Seminyak offers an Ocean Breeze Romance Package with a signature spa treatment for two, and a complimentary night’s stay for your anniversary! 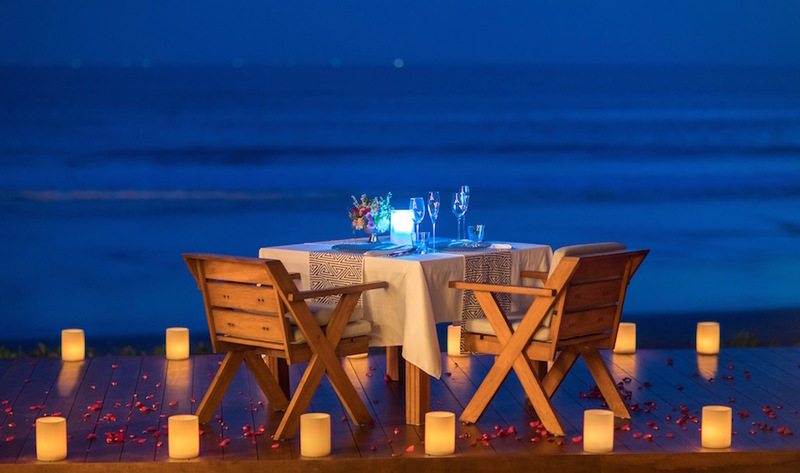 Romantic things to do: Aside from painting the town red in the heart of Seminyak, within the resort lovebirds can feast on a special a la carte or 9-course set menu at Starfish Bloo, either in the Gazebo, the Ice Deck or the Ice Garden, complete with candles, rose petals and bouquets. Or turn up the heat with the 3 hour Light My Fire couple’s treatment at the 24/7 AWAY Spa. The honeymoon package: For honeymooning couples, welcome treats and special romantic setups can be arranged on arrival. Think pathways of rose petals from your door, floating flowers with candles in the pool, heart-shaped rose petals on the bed and bath tub, romantic tunes playing in the background and bottle of bubbles waiting on ice. 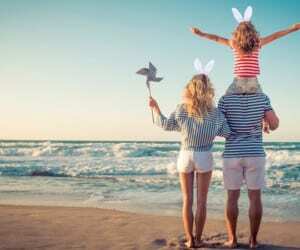 W Bali – Seminyak, Jl Petitenget, Seminyak, p. +62 361 3000 106.